This entry was posted in community, cosyknitsliterally, kits, knitting, patterns by cosymakes. Bookmark the permalink. I still haven’t jumped into color work yet. It is my next thing to learn. I think kits a very good way to go. Many knitters like to have everything they need for a project in one package. Kits would also be less stressful physically,emotionally, and financially. You could offer a few kits with the pattern and with a different combination of yarns. 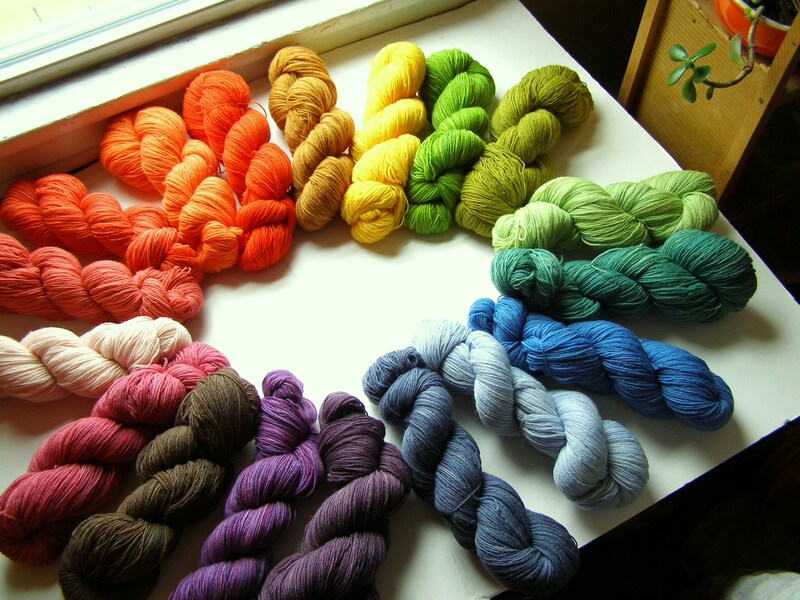 Placing kits in different yarn shops may bring you more exposure too. Go with your gut. Deep down you know what will work best for you and your family. It is a very exciting idea and I wish you all the best! I’ve wished you had kits to your patterns for the last few months. I voted for baby sweaters, because that where I am right now, but I would be interested in any kits! I’d love to see kits for colorwork patterns – especially hats and mittens! Just enough of each color and perfect color pairings already matched up would be awesome. The baby sweater is so adorable! But far too advanced for my crafting. Kits are the way to go! Kits is a great idea for us “creatively color challenged” ! I love your patterns, and I think that offering kits is a great idea! Do you ever look at Alicia Paulson’s blog (http://rosylittlethings.typepad.com/posie_gets_cozy/)? She started making Christmas ornament kits several years ago, and now she’s making (lots of!!!) doll kits. She takes preorders and then rallies her family and friends to assist with the assembly process. I realize your product/business is a little different, but she’s got a good successful model for you to take a look at if you want. I’m so glad that you’re able to change your work to fit your needs. You’re one of my favourite designers and artists and I love seeing your progress! That said… I miss your fibre like you wouldn’t believe. When I lived in the US (Londoner here, now), I was part of two of your fibre clubs, and I loved them so much. I still check the shop every so often to see if a cheeky bit of fibre shows up–now that I’ve shipped my wheel over, paying the postage would be worth it for me, every once in a while! And your patterns are still my first go-to when I’m looking for something in particular to make. This morning I was checking for colourwork fingerless mitts for a little girl… I’d envisioned something like your reflections hat, but in mitts form. Alas, I’ll either have to settle for something else, or make it up myself! I admire you for making your work work for you and your family! Good Luck! Your baby sweaters are adorable. They would be great in kit form. My 3 boys are in their 20’s now so I am not in a baby sweater stage of life. I remember fondly each sweater I knit for each of them during my pregnancies. (Favorite sweater was the one for son #3.) A special time. I love knitting hats and would like to do some fingerless mitts. I have only bought two kits before and those were from Morehouse–one for a scarf and the other for a sort of poncho type thing. I think a kit can be good if there are lots of different types of yarn made to work together. Enter me in your drawing, please! I’d LOVE to be entered in the drawing! I love your yarn, and toady’s pictures show your striking sense of color. Colorwork for me…I’m not the best at picking out appropriate colors for an awesome look! the more kids I have, the more I like kits! One can never have too many hats :-) And I love the colours you use. So hard to choose but colorwork would make the most sense to kit in my opinion. Kits are wonderful. I especially like colorwork kits. I think colour work kits are a great idea. Intend to find making my own colour choices intimidating, so it would be nice to be able to pick from premade choices.